Volkswagen ‘Beetle’ year 1957. Chassis number 155613X, body number 3785X, engine number 359830X. 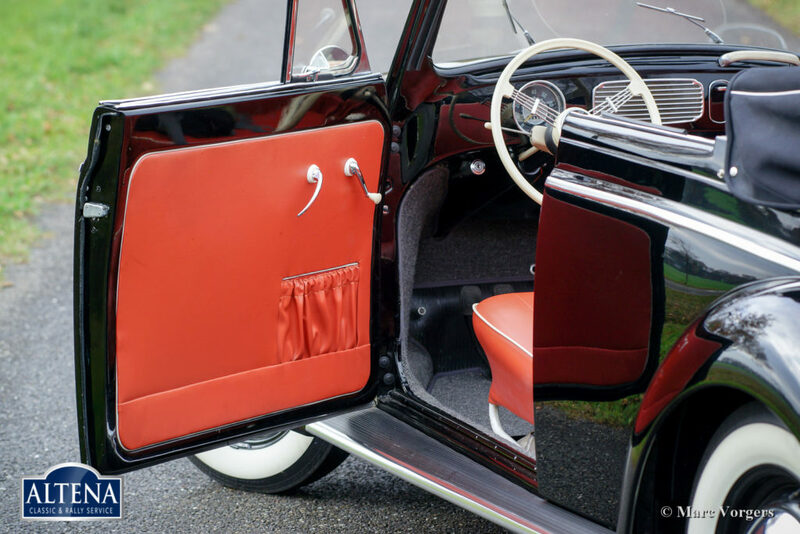 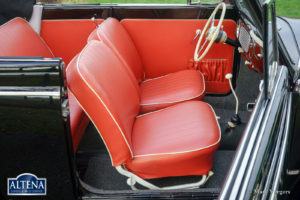 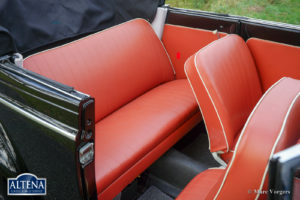 Colour black combined with a red interior trimmed with white piping. 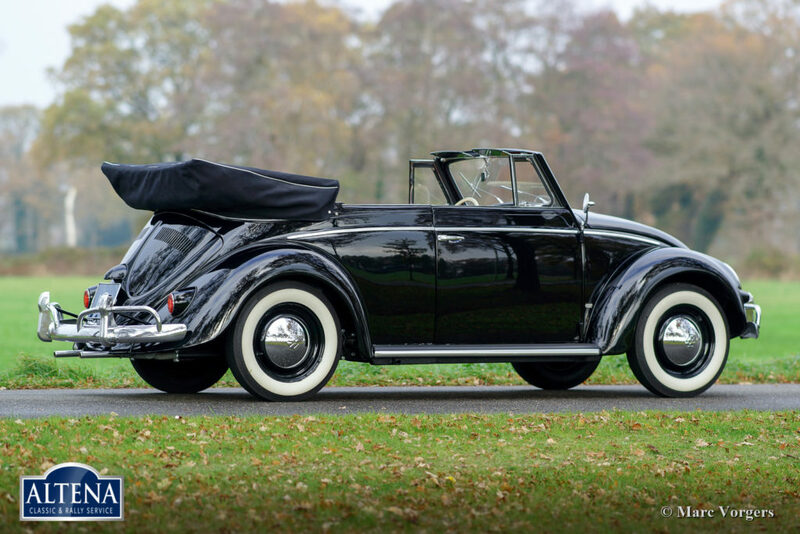 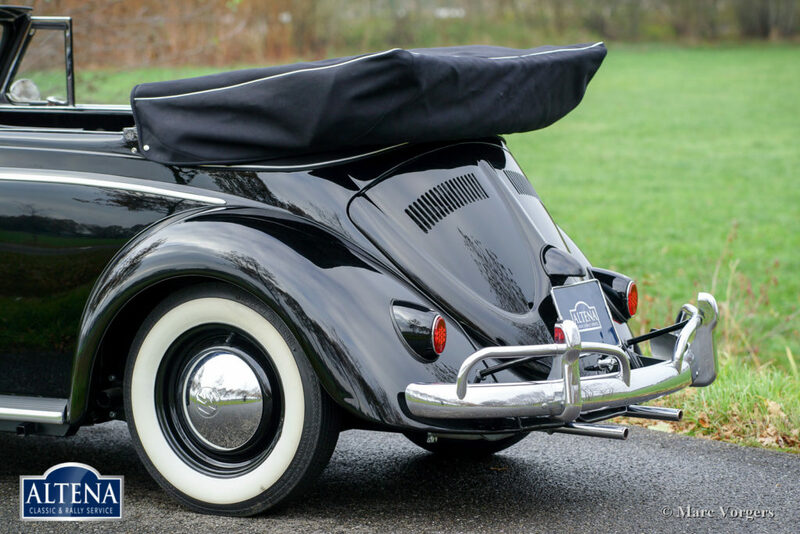 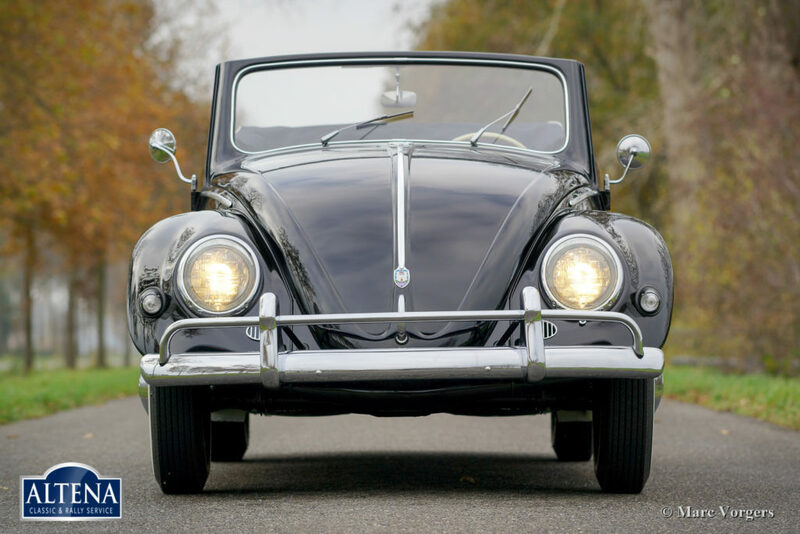 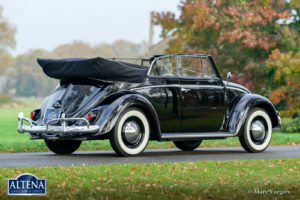 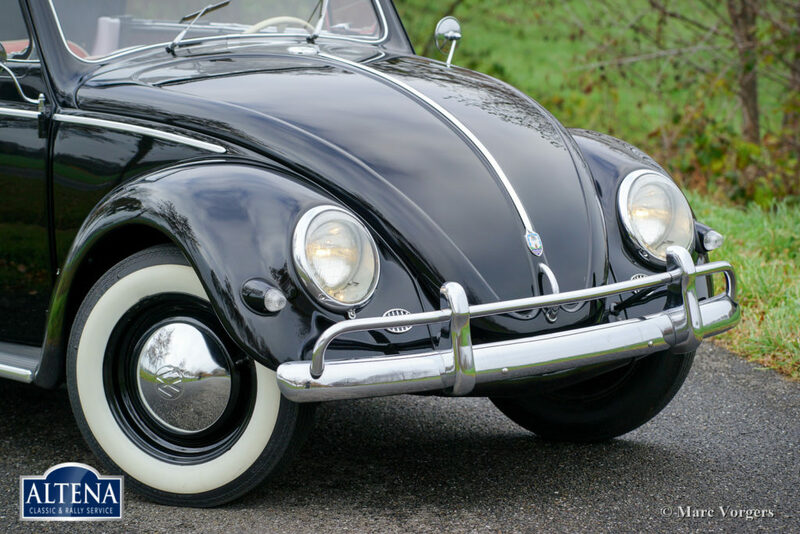 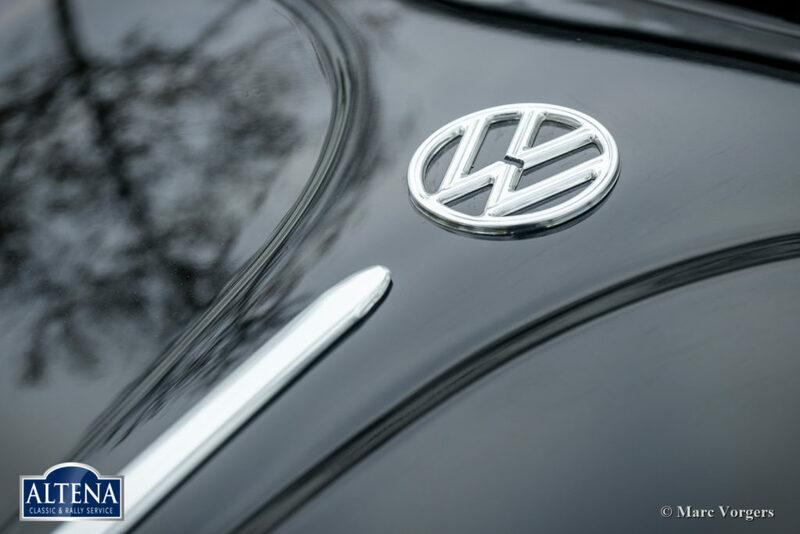 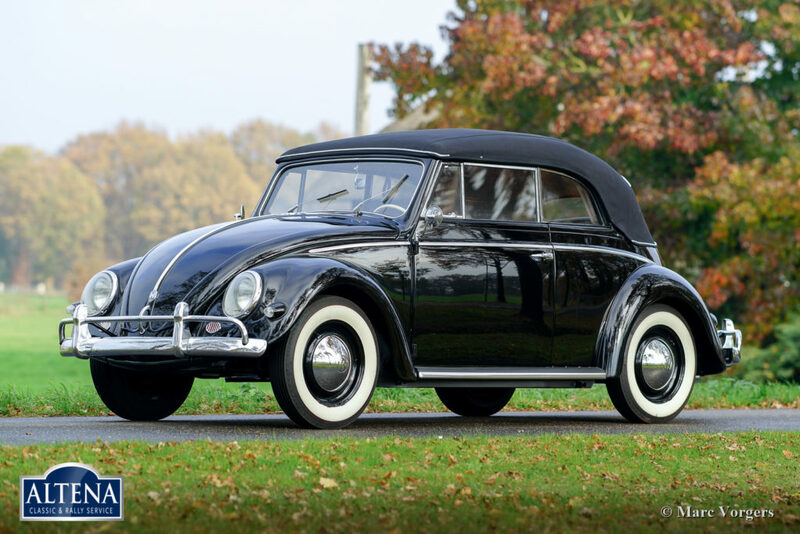 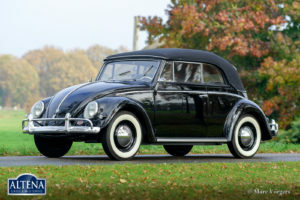 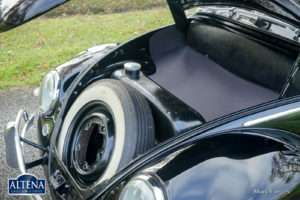 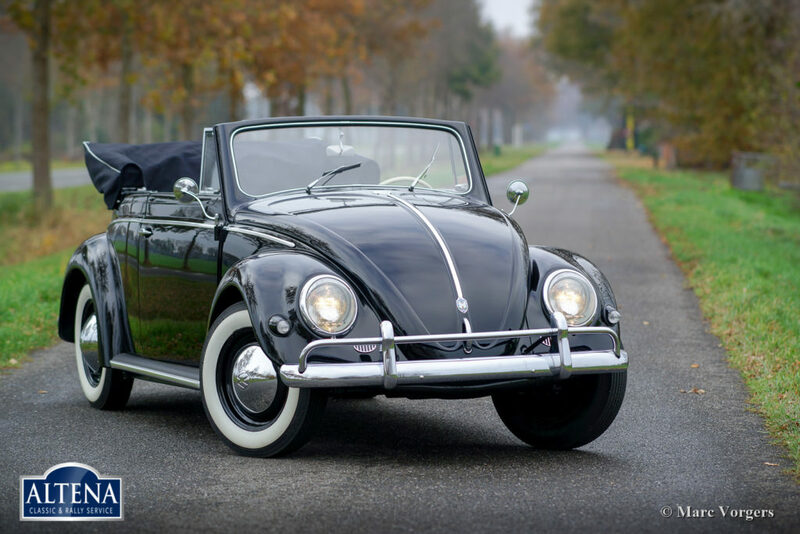 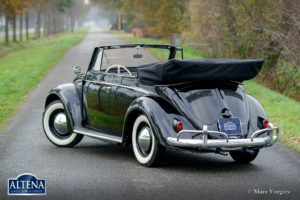 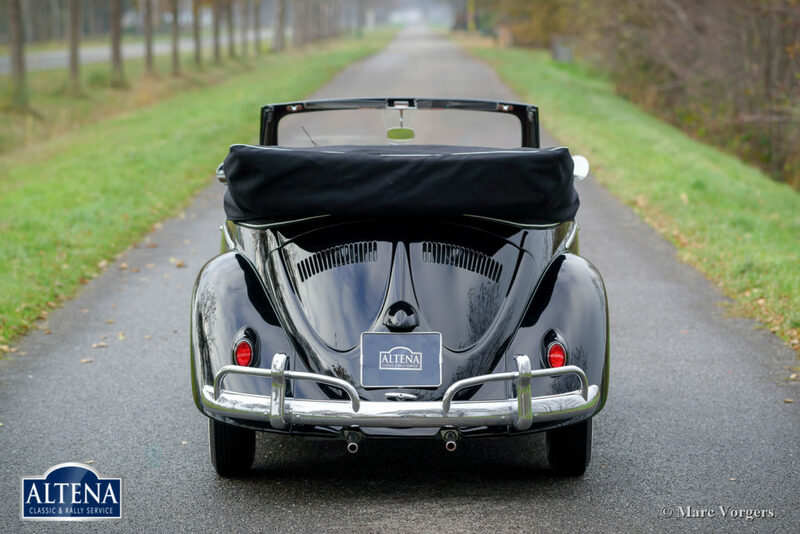 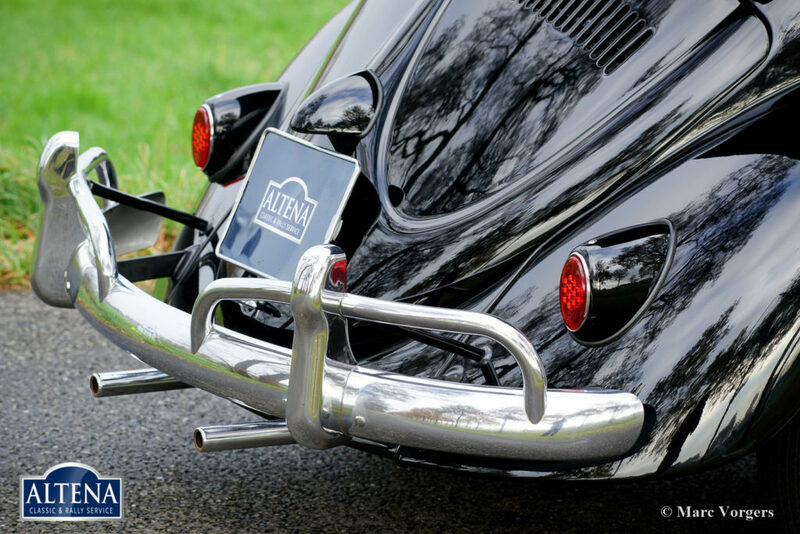 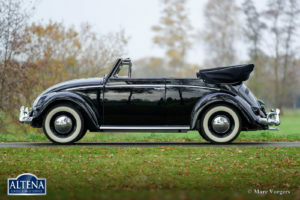 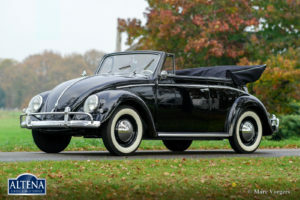 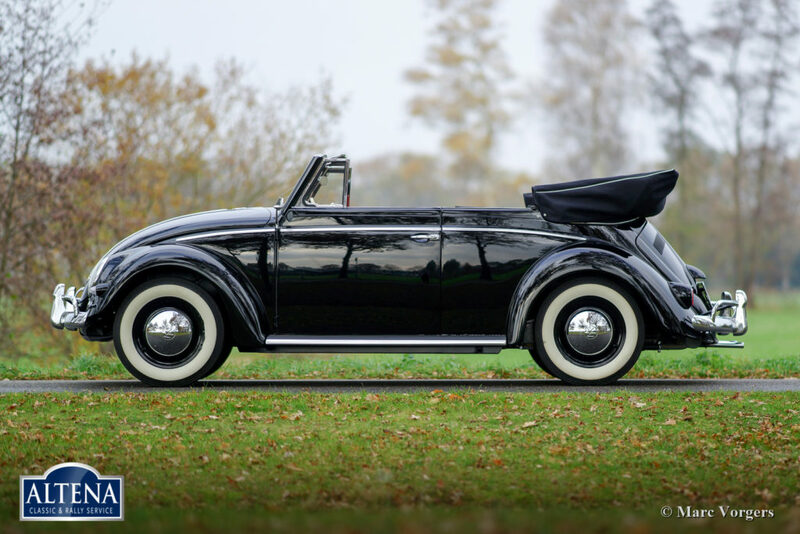 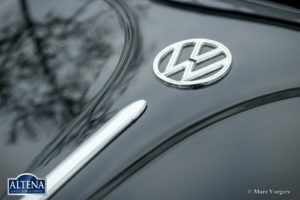 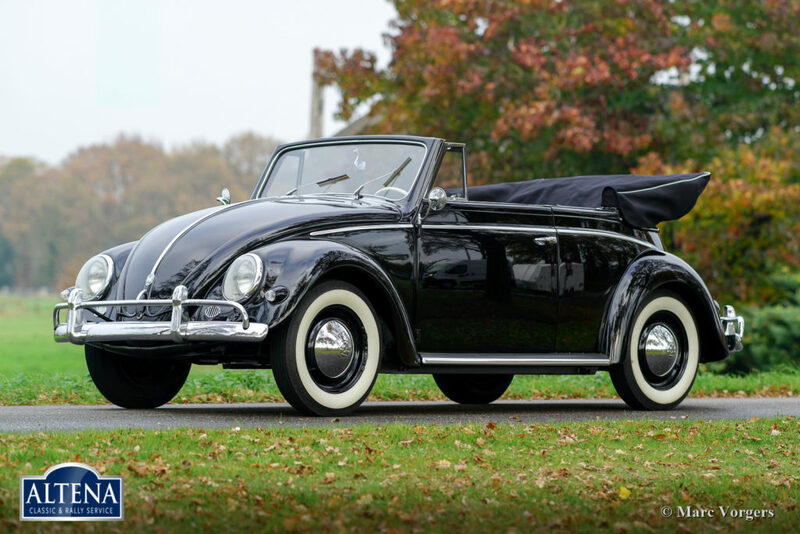 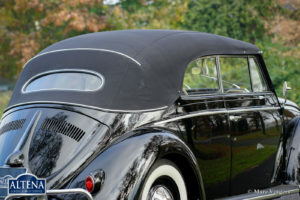 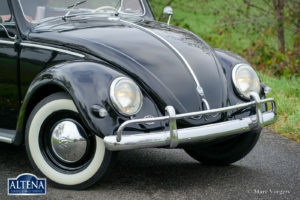 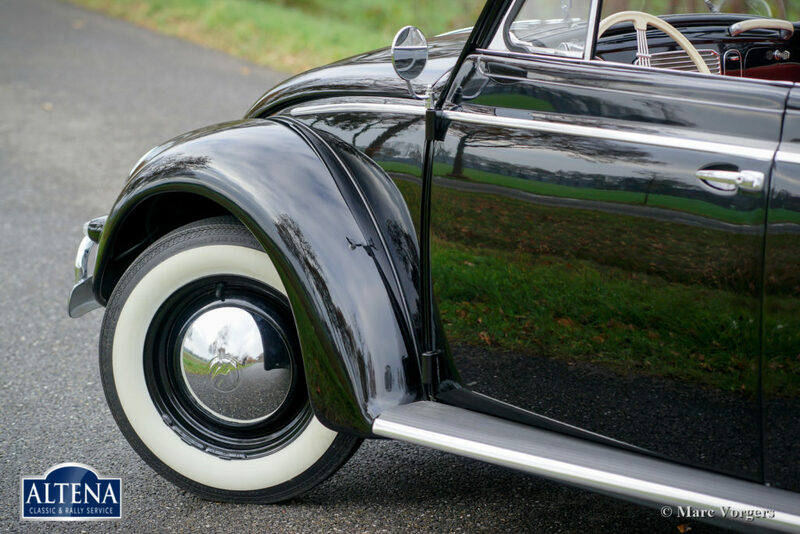 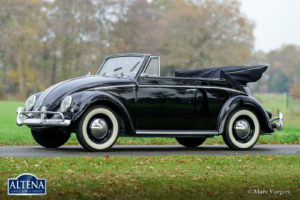 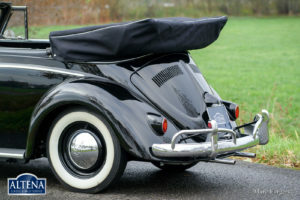 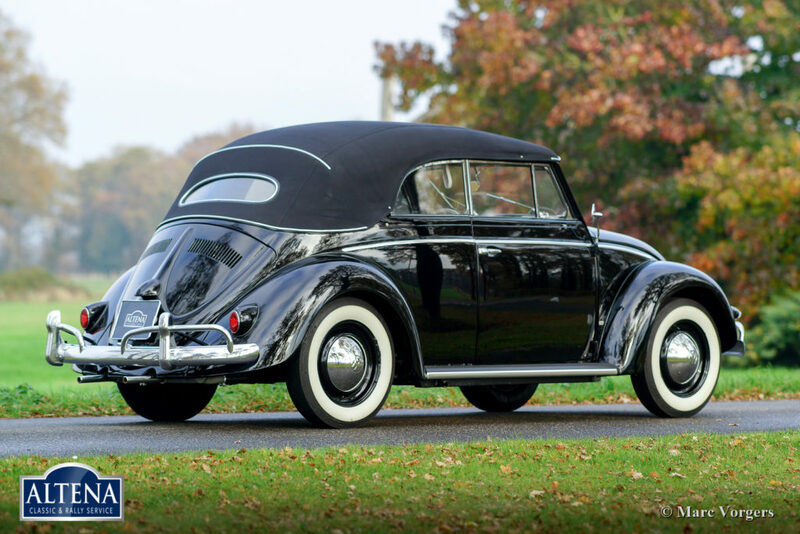 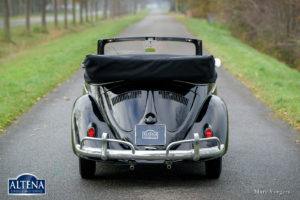 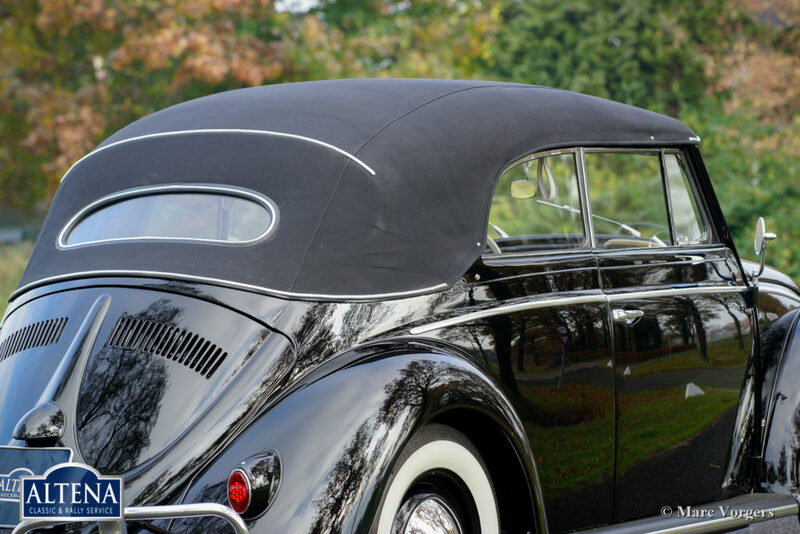 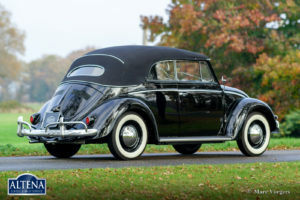 This wonderful Volkswagen Beetle with Karmann bodywork and an oval rear window was sold new to the USA. The car was imported from California to the Netherlands in the year 2014. 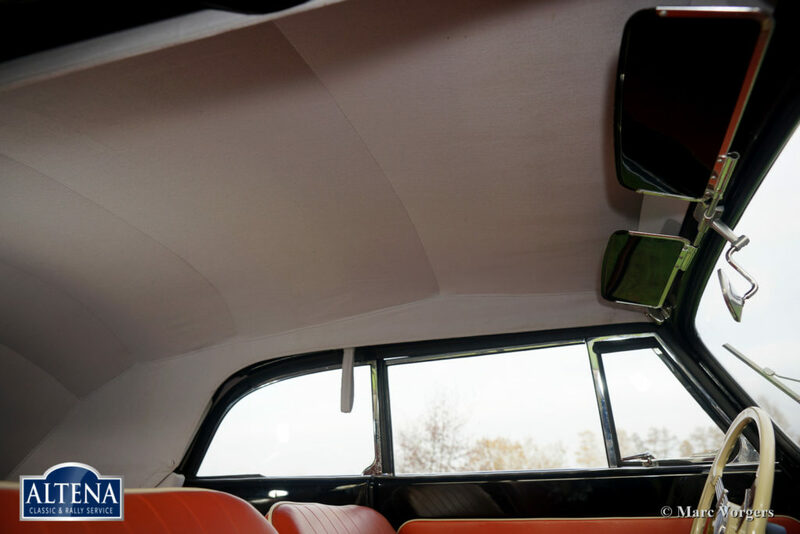 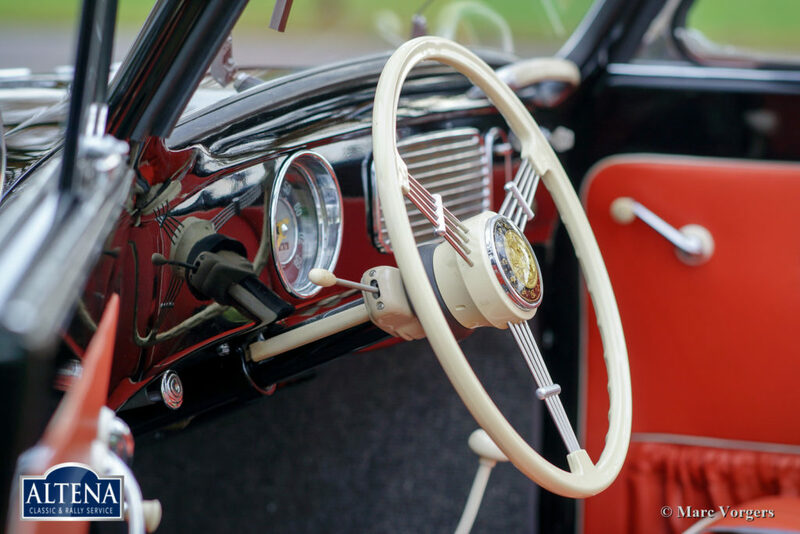 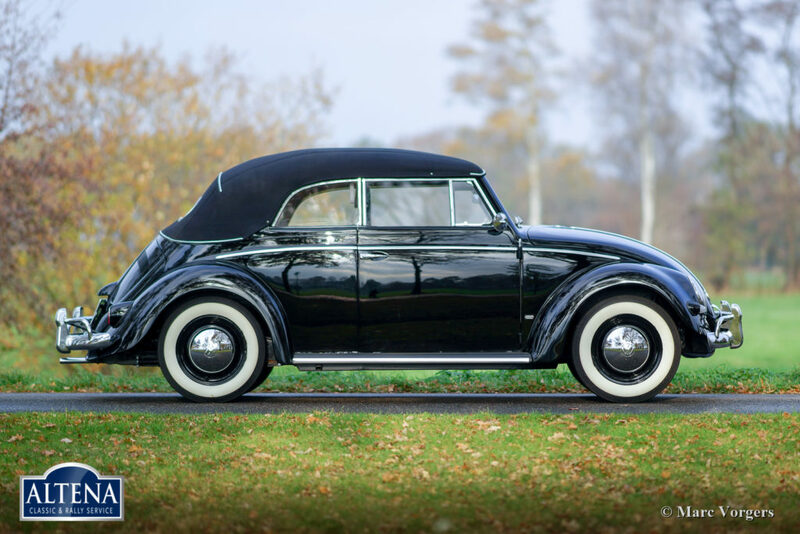 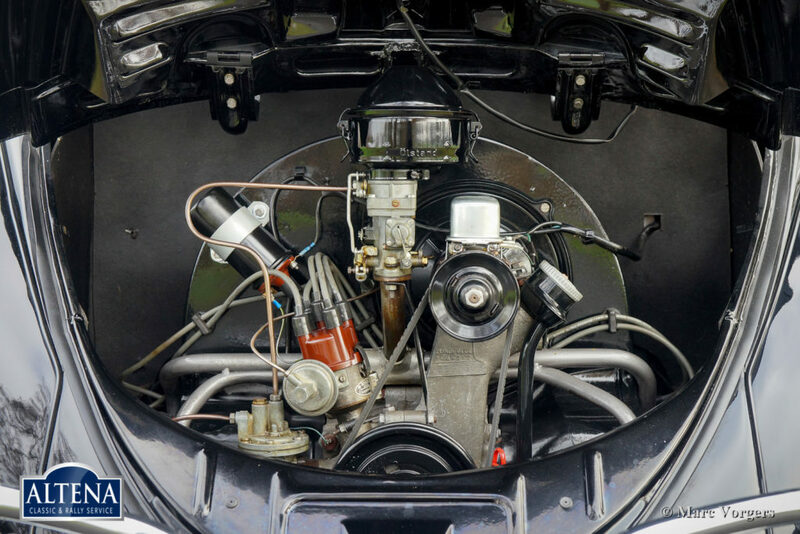 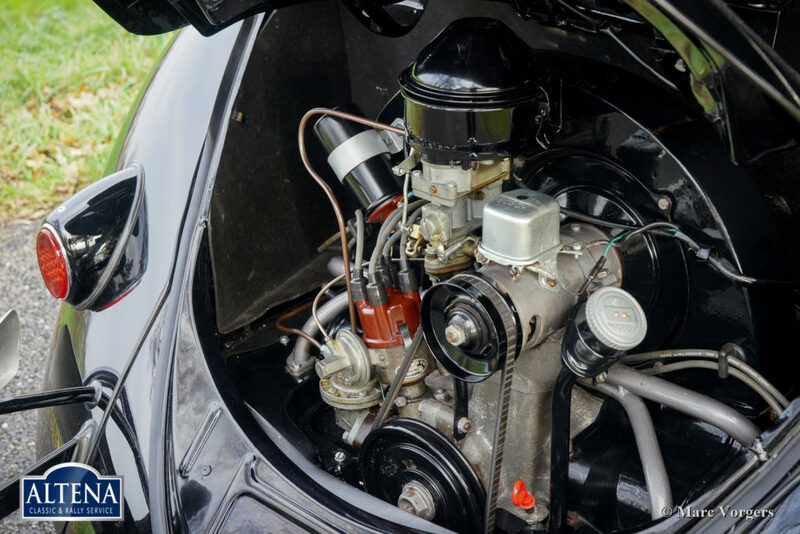 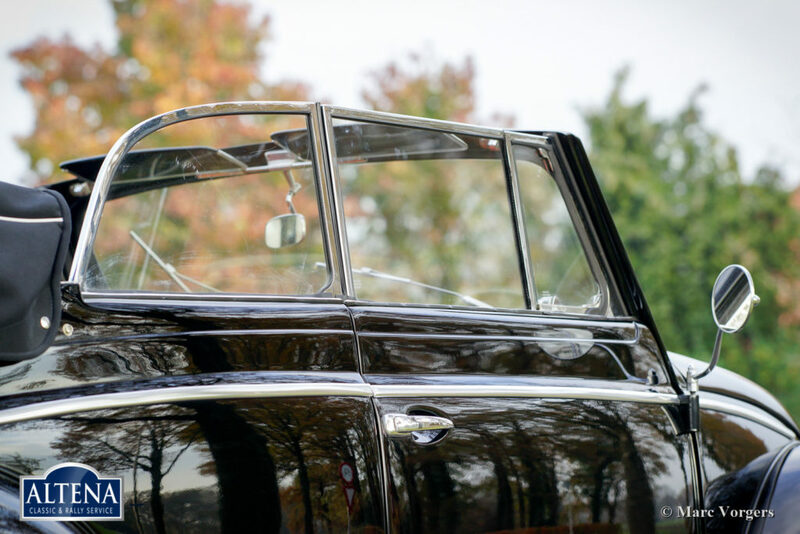 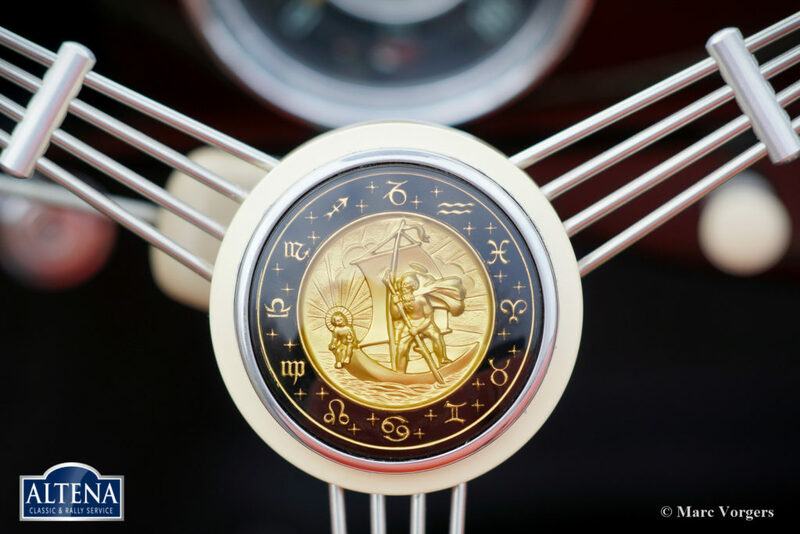 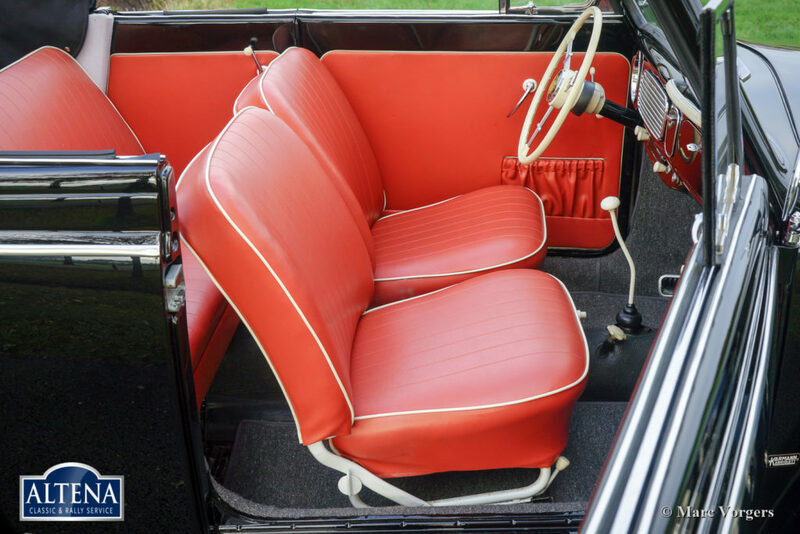 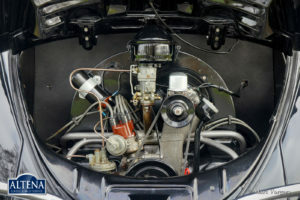 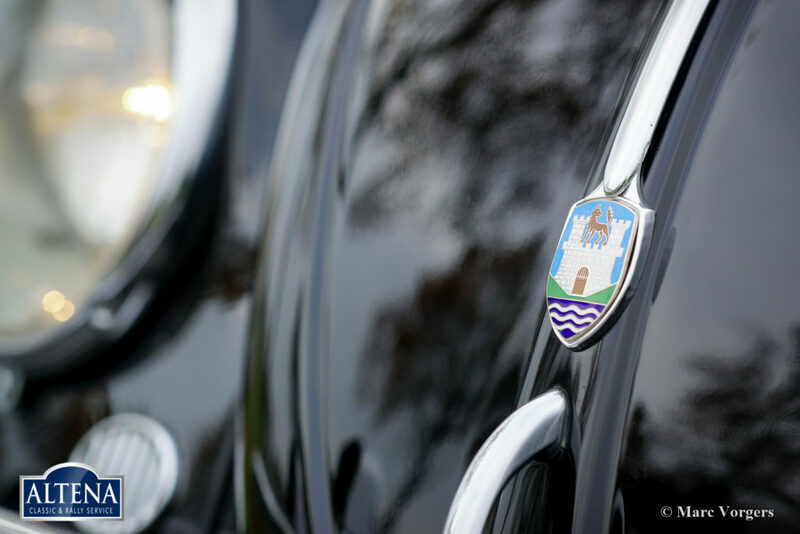 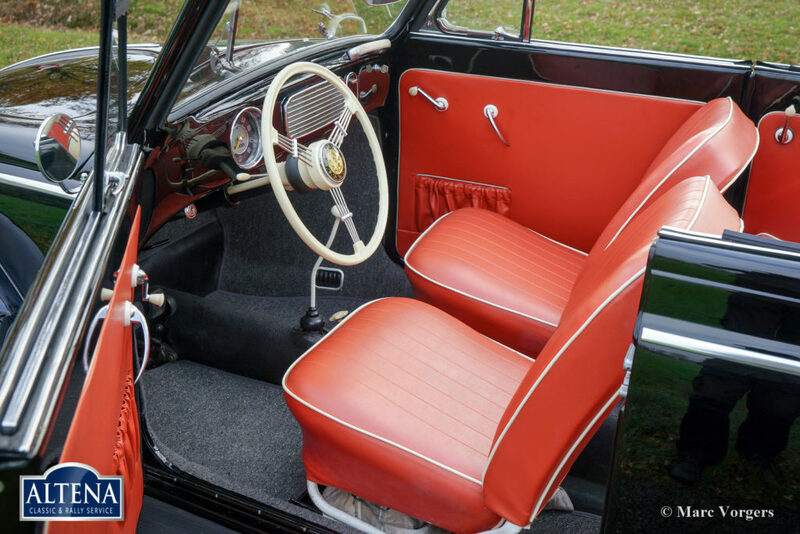 In the years 2015 – 2018 the car was extensively and perfectly restored and overhauled to concours condition. 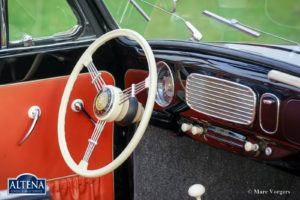 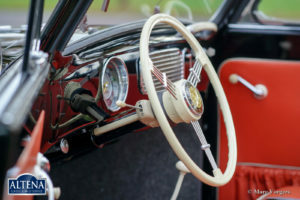 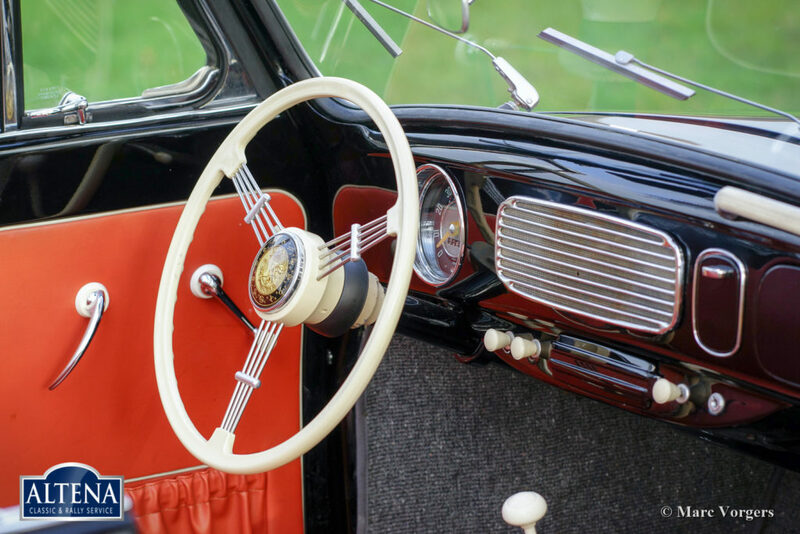 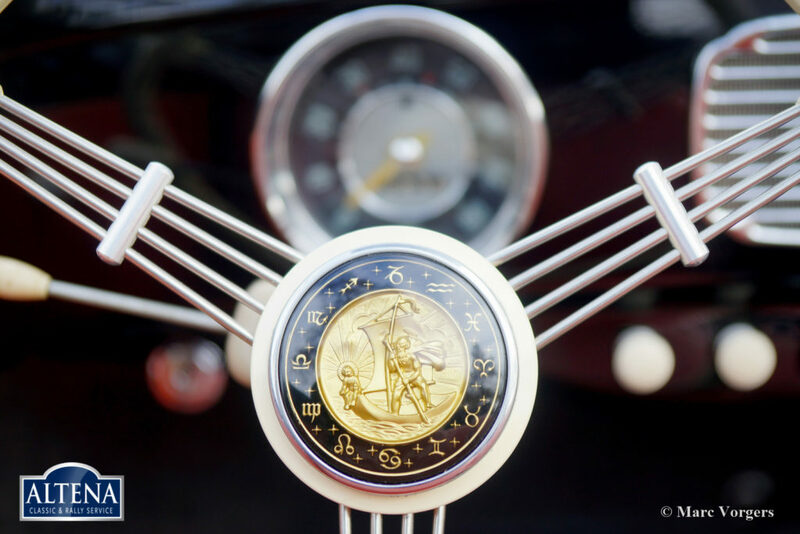 The restoration was a very detailed job, everything was restored and / or renewed including the dashboard gauges. A photo report of the restoration is present. 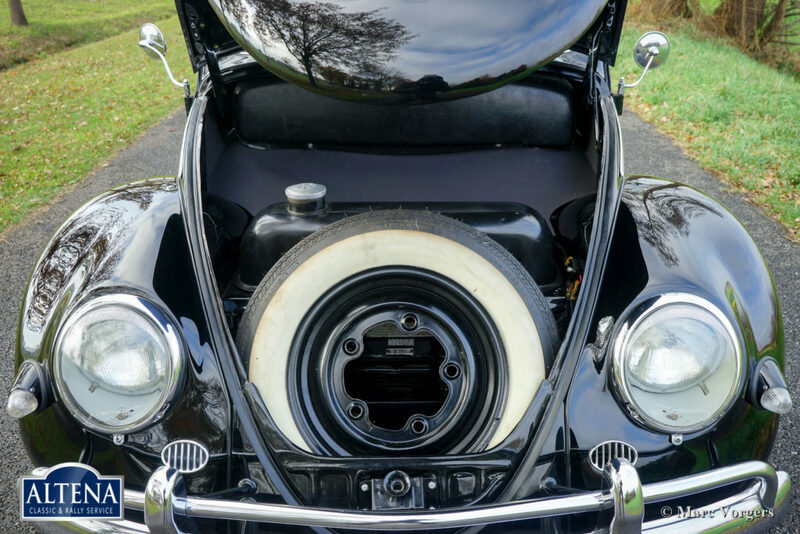 The car shows perfect chrome and gorgeous original details; also, the underside of the car is perfect. The new mohair hood was fitted beautifully! The car is shod with Coker Classic 560-15 tyres. This magnificent VW ‘Beetle’ is a very desirable specimen in show condition!